Juliet is a qualified translator because she has a university degree and over thirty years’ full-time translating experience. She has also passed accreditation exams for the Chartered Institute of Linguists (CIOL), the Institute of Translation and Interpreting (ITI) and Associazione Traduttori e Interpreti (AITI). She has also been accepted as a full member of several internationally-recognised professional bodies and passed the tough criteria to be elected an ITI Fellow. cultural competence, i.e. ability to make use of information on the behavioural standards, up-to-date terminology, value systems and locale that characterise both source and target language cultures. She keeps up these competences through continuous professional development (CPD) gained on the job and by attending workshops and conferences and maintains a CPD log. BUT, being a qualified, competent translator is not enough to ensure a full, watertight translation service. Translation is part of a workflow that includes preproduction, production and post-production stages. Juliet follows processes for handling and analysing enquiries, determining project feasibility, preparing quotations, and entering into agreements with clients. She submits a quotation to the client indicating at least price and delivery details such as language pair(s), delivery date, format, and medium. She finalises an agreement with the client and retains a record of that agreement. She has processes for handling project-related client information and ensuring the security of information and for the safe keeping and, where appropriate, safe return or destruction of all material (documents and data) received from the client. 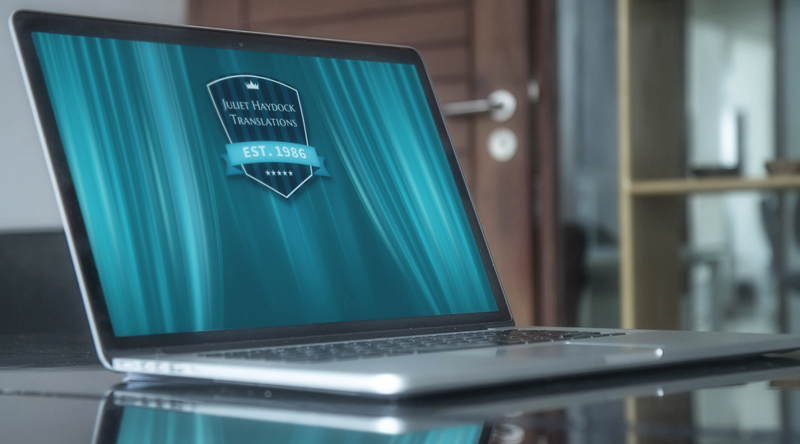 Her project preparation process covers administrative, technical, and linguistic aspects according to the project specifications of each translation project and contacts the client for clarification if necessary. She records each accepted translation project and maintains a register for the duration of the project, as well as a project archive, which makes it possible to identify and track the translation project and to determine its status. target audience and purpose of the target language content – raising any uncertainty as a query with the client. She then checks target content for possible semantic, grammatical and spelling issues, and for omissions and other errors, as well as ensuring compliance with any relevant translation project specifications, making any corrections necessary. The translation is then passed on to an external reviser with the necessary competences in the source and target languages to revise the target language content against the source language content for any errors and other issues, and its suitability for purpose. Further optional services include monolingual review and proofreading of printed matter prior to publication. The next steps are final verification against initial specification and release to the client followed by invoicing and payment procedures. Juliet has a process for handling client feedback and for making appropriate corrections and/or taking corrective action. She also shares feedback from the client with any other parties involved. Juliet ensures full project archiving for an appropriate period and meets all legal and/or contractual obligations regarding the preservation or deletion of records and data protection. So that she can work from a perfect source file in Microsoft Word, Juliet outsources PDF conversion to DTP experts. In addition to a host of PC-based software, Juliet uses SDL Trados Studio 2017, a computer-aided translation (CAT) tool. Automotive and railway engineering; institutional translations; pharmaceutical translations. Graduates from translation MA courses can benefit from paid internships with a professional translator. She mentors novice translators and regularly meets fellow translators on-line, at conferences and at events organised by EU institutions and professional bodies. A background in science and a flair for writing good English is often more useful than a language degree when translating scientific and technical texts. Translators use a host of forums, Facebook groups, Twitter and other social media to seek advice and exchange information – but there's a light-hearted side too. Juliet spends a third of the year in Lazio and has started a website on the area’s lesser known delights: hiddenlazio.com.